If you’ve been paying attention, you’ll know that Australian sweethearts Sheppard have been releasing a string of stellar new singles and EPs over the last year in anticipation for their sophomore full-length album, Watching the Sky, currently slated for a May 2018 release. If you’ve missed all this, well I’ve got a grip of joyous indie pop bangers for you to catch up on. 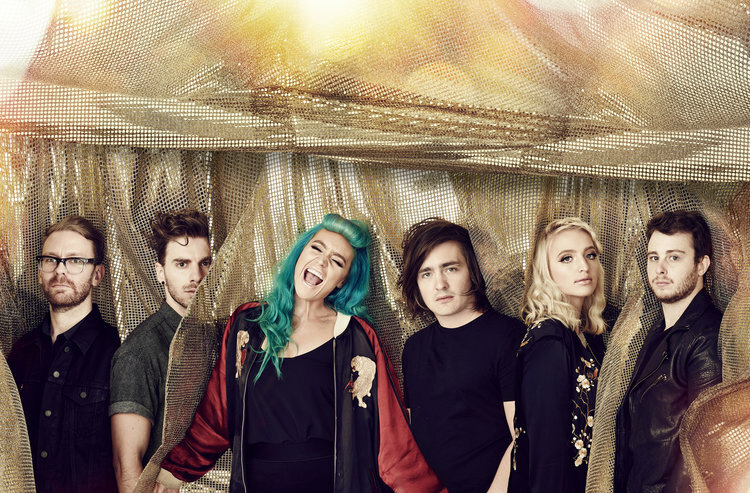 You should remember Sheppard from their breakout 2014 hit “Geronimo,” which finally unseated Pharrell’s painfully infectious single “Happy” from its 12-week reign at the top of the singles charts. The Sheppard siblings and crew made quite a first impression with their international debut, and since then they’ve been touring with the likes of Justin Bieber and Meghan Trainor, and working hard in the studio turning out single after single. We’ve been loving all these one-off tracks they’ve been putting out, so when we heard there was a tentative release date for Watching the Sky, we just had to reach out to Sheppard to talk about their new album and get a taste for their hometown of Brisbane. Check out their new video for “Coming Home,” a nostalgic burner of a dance track. Pulsing, pensive verses give way to a bouncing, jubilant chorus that is simply undeniable; throw that over some bright neon visuals and you’ve got a real winning music video. Then be sure to hit our Brisbane travel guide, curated by none other than the nice kids in Sheppard. Coffee, laptop, snacks, nice lighting, good vibes. Emma is normally the Van DJ even though everyone has their earphones in and are doing their own thing. She likes to play a mixture of new and old classics! Throat coat tea with Manuka honey. Vegetable platter, meat and cheese platter, cider, beer and Manuka honey! Video Premiere: Summer Comes Early With Big White's New Single "How Did You Find Out"
First Look: Clara Mae Strips Down "I'm Not Her"